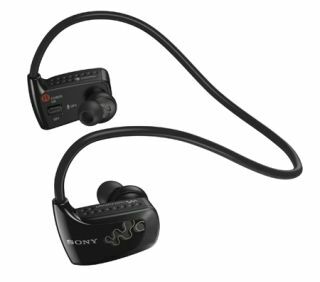 Sony's washable Sports Walkman MP3 player syncs with iTunes | What Hi-Fi? Washable, wire-free and water resistant – that's how Sony describes its new NWZ-W260 Sports Walkman. Designed to resist rain and the sweat of a gruelling workout, this latest Walkman is clearly aimed at sporty types. Available from the end of this month in gloss black and white, the all-in-one design eliminates the tangle of wires and the 13.5mm EX Series earphones come with silicon buds in three different sizes. A quick three-minute charge provides enough power for a 60 minute listen, Sony claims, while a full charge offers up to eight hours listening. Using the Content Transfer sofyware supplied, users can easily move music files from a PC or iTunes library (except DRM-protected songs). And Sony's Zappin technology lets you browse quickly through all your music , previewing a bit of each track without fiddly searches through menus or playlists. To coincide with the launch of the NWZ-W260, Sony is sponsoring sprint athlete Marlon Devonish, who will represent Team Great Britain at the 2012 Olympic Games in London.